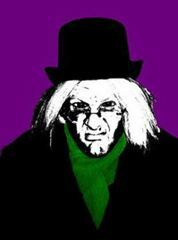 Critically acclaimed outdoor theatre company The Pantaloons make their debut at Kettering Arts Centre, St Andrew’s Church on 22nd December with their hilarious, fast paced, brand new adaptation of Dickens’s festive favourite A Christmas Carol. There will be a children’s matinee at 3pm with a hot chocolate and marshmallows included in the ticket price, and an evening performance at 7.30pm including a glass of mulled wine (for the over 18’s, with a non-alcoholic alternative available). With a cast of just four, this production is sure to put a smile on even the glummest face (even Scrooge’s), using audience interaction, puppetry, slapstick, original music and traditional carols. The Pantaloons formed in 2004 and their reach, popularity and reputation has grown each year. The company have tackled classics such as Romeo and Juliet, Cymbeline, A Midsummer Night’s Dream, The Taming of the Shrew and Twelfth Night. 2010 saw their most successful show yet – an original and interactive take on Much Ado About Nothing. This is the first time The Pantaloons will be taking off their Bard beards and doffing their Dickensian caps, and also the first year of winter touring. Full of contemporary twists to make this much loved tale even more memorable, it’s already hotly anticipated. At just £5 for the matinee and £6 for the evening performance you will be getting amazing value and a real Christmas treat! Tickets are on sale now online at WeGotTickets (search Pantaloons) and go on general sale at the Tropical Inc event, then at our usual ticket retailers. glad you enjoyed it, we’ll be in touch after Christmas!